Unusual shell pearls with a faceted finish. 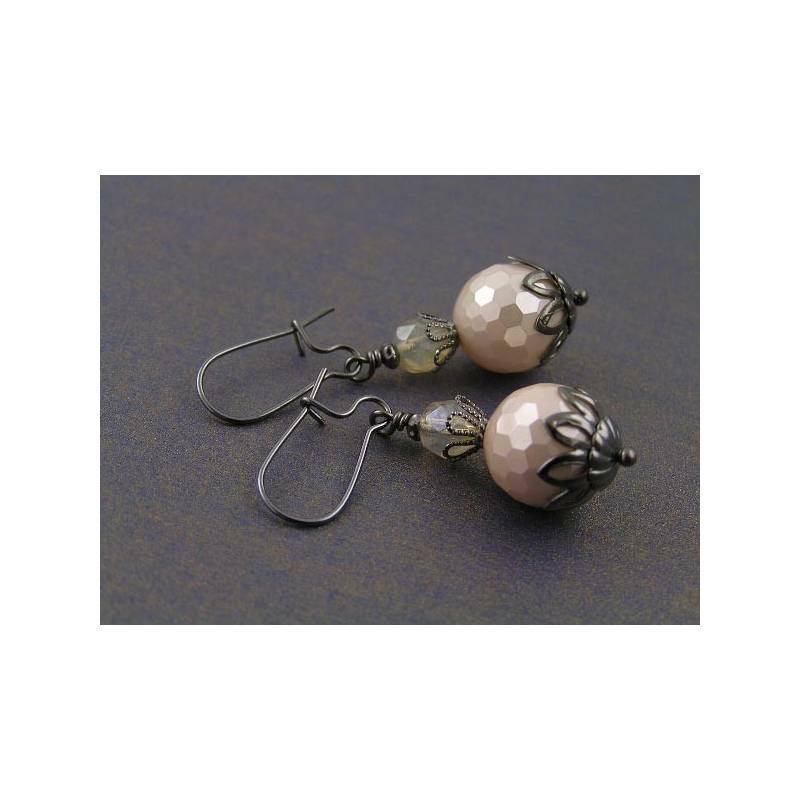 These vintage looking faceted shell pearl earrings are framed by lacy bead caps and topped with a Czech glass bead. 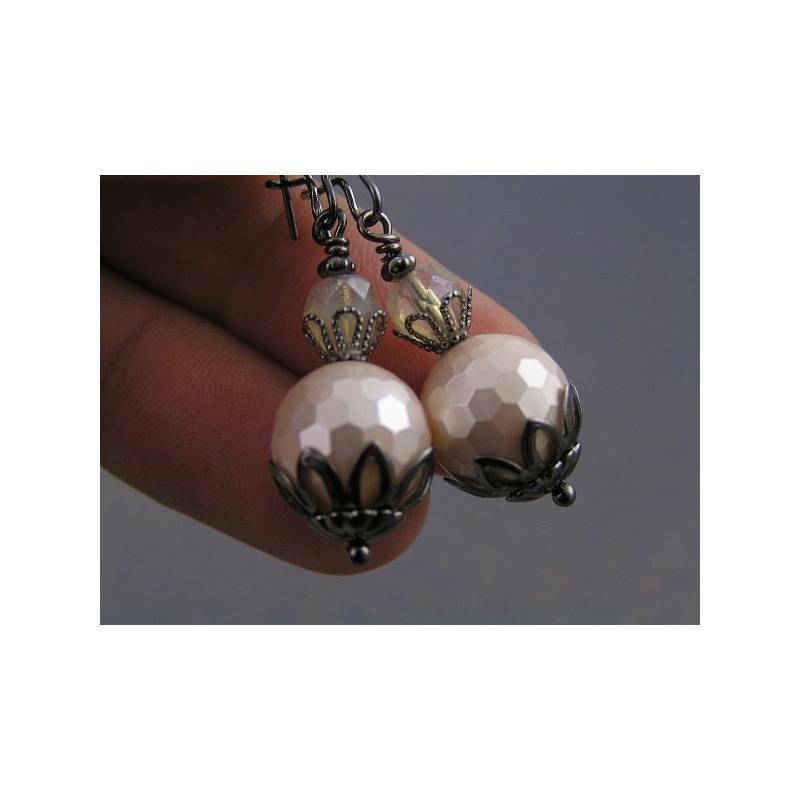 The pearls have just the right size 12mm to stand out without being overly large and heavy. 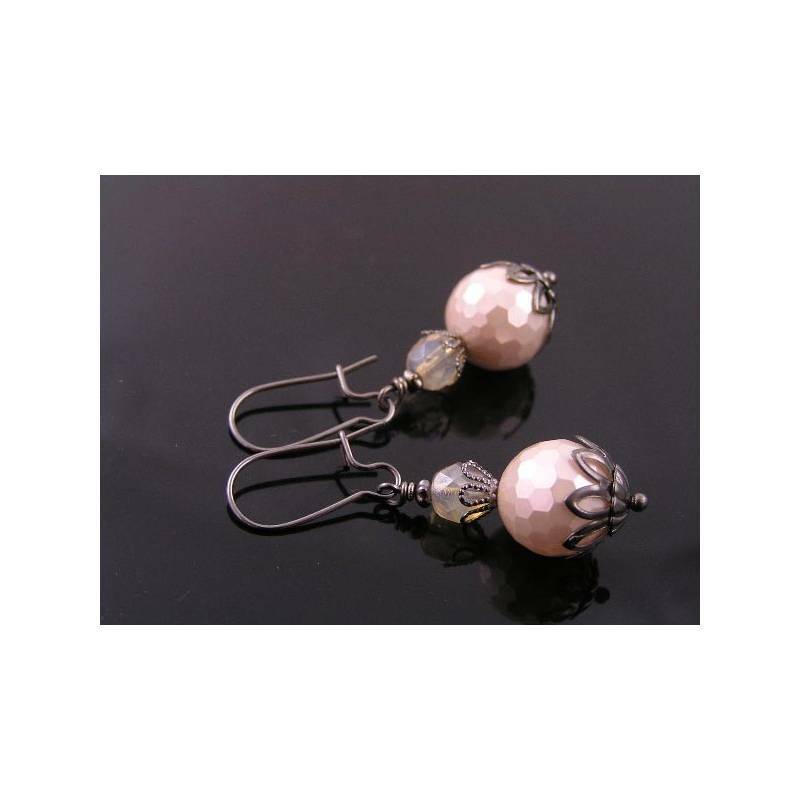 They have a gorgeous shimmering finish which is enhanced by the subtle faceting. All metal is shiny gunmetal finished for a great contrast and a lovely antique/Victorian look. 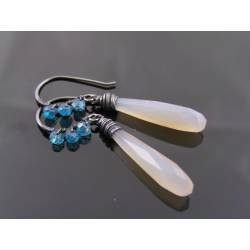 The earrings are attached to secure kidney ear wires. * Shell pearls are man made pearls with a thick outer layer of crushed genuine Mother of Pearl. That's why they look so authentic.